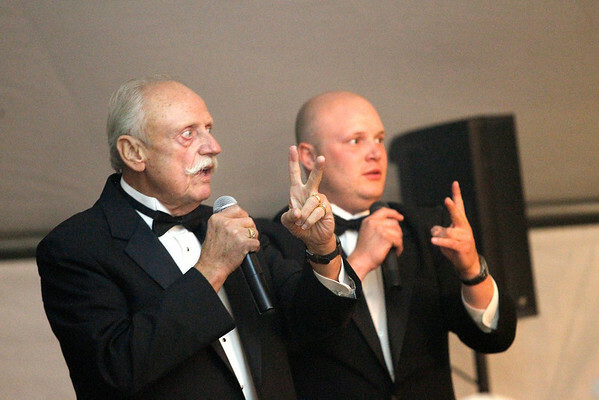 Jerry Cole, left, and his son Grant Cole run the auction during Thursday’s Ancient Order of Hibernians Fr. Fred Foundation Cigar Dinner. About 300 guests were treated to a gourmet dinner prepared by more than a dozen of the Grand Traverse area’s chefs, paired with cigars and wine. The event raised more than $72,000 for the foundation last year, and hoped to raise as much as $100,000 this year from ticket sales, raffles, an auction and donations.